Your legacy is something that you should carefully craft when you are devising a plan for aging. You probably have certain things that you would like to be able to do for the people that you love. If you take the right steps, you can enjoy a comfortable retirement as you preserve resources to pass along to your family members. Medicaid planning will often be part of the equation. You may naturally wonder why you should be concerned about Medicaid at all. If you know you’re going to qualify for Medicare coverage when you attain senior citizen status, and you have resources, Medicaid may be completely off your radar. 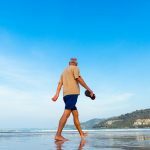 This may make sense when you first consider the health care expenses that you will face as a senior citizen, but many people receive a rude awakening when they look into the subject of long-term care and the costs that go along with it. The majority of elders will someday need help with their activities of daily living. This may not be a very pleasant thing to contemplate, but it is a fact of life. 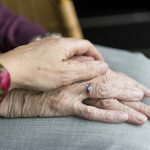 There are those who can remain at home as they rely on family members to provide assistance, but others ultimately reside in nursing homes or assisted living communities. These facilities are expensive, and costs have been rising. The average length of stay for a nursing home resident is over two years, and there are those who require care for longer periods of time. Nursing home costs vary, but it is not uncommon for a nursing home to charge upwards of $100,000 annually for a private room. Depending on the extent of your resources, nursing home costs could wind up consuming everything that you have always intended to leave to your loved ones if you have to pay out of your own pocket. The Medicare program will not pay for long-term care, so you have to look elsewhere for a solution. Medicaid does pay for long-term care, but you cannot qualify if you have significant assets in your own name. For an individual applicant, the limit on countable assets is just $2000. What is the difference between a countable and a non-countable asset? There are certain things that you own that would not be counted if you were to apply for Medicaid. One vehicle that is used for transportation is not counted, and your household goods and personal belongings would not be countable. If you have any heirloom jewelry, that would not be counted, and your wedding ring and your engagement ring are not countable. A very big non-countable asset is your home, but there is an equity limit. In Kentucky and North Carolina, the Medicaid home equity limit is $552,000 in 2016. There is no equity limit at all if a healthy spouse is remaining in the home. These are the assets that are not counted by the Medicaid program (although without planning Medicaid may seek repayment from these asses after your death); other assets would be countable. We should also point out the fact that the healthy spouse is entitled to a Medicaid Community Spouse Resource Allowance. This is equal to half of the shared countable assets. The maximum allowance is just over $119,000. The Medicaid program actually pays for most of the nursing home care that seniors are receiving. You may be able to give countable assets to your loved ones before you submit your application and still qualify for Medicaid. There are various ways that you can go about it. You could choose to give direct gifts, but the creation of a Medicaid trust would be another option. The effect on Medicaid depends on the types of assets, how they are transferred, and when they are transferred. A Medicaid trust would be an irrevocable trust, so you would not be able to change your mind and take back the assets that comprise the principal. The assets would not be counted if you were to apply for Medicaid after five years, but you may continue to receive income from the earnings of the trust. Your ability to keep receiving income from the assets is the good news, but there is a downside. If you ever do apply for Medicaid to pay for long-term care, the income would go toward the cost of the care that you are receiving. Our firm would be glad to help if you would like to learn more about long-term care and the steps that you can take to preserve your resources for the benefit of your loved ones. To set up a consultation, you can call us at (704) 944-3245 in Charlotte or (606) 324-5516 in Ashland, KY to set up an appointment.